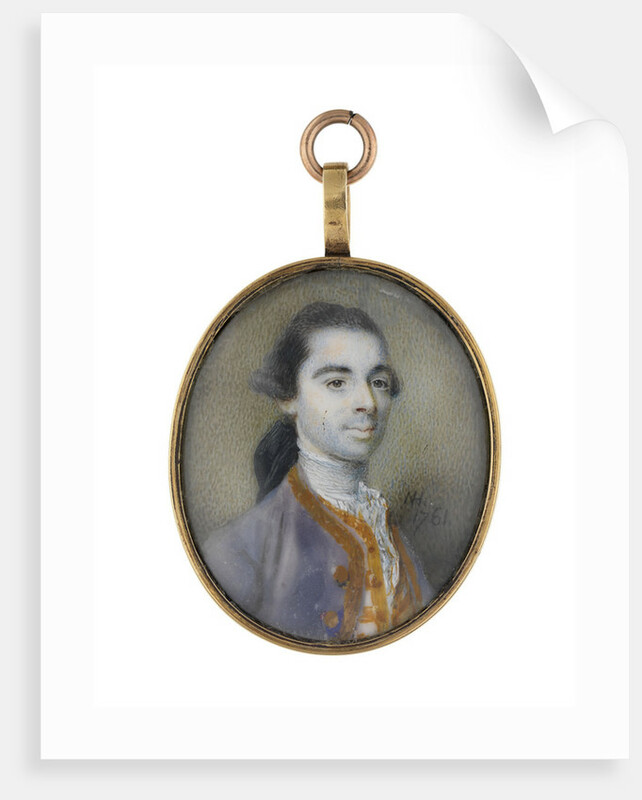 An oval bust-length miniature in watercolour on ivory, in an oval gilt metal suspension frame, signed with initials and dated 'NH / del 1761'. 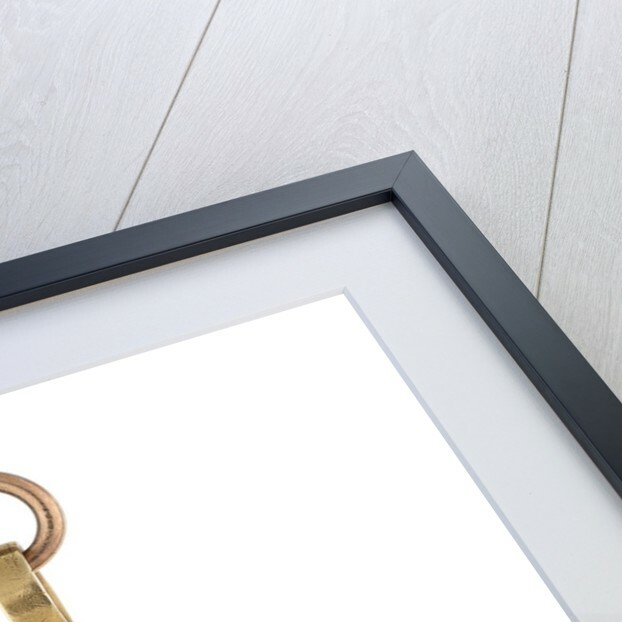 The slightly convex backplate of the frame is engraved 'Lieut. Charles Besson / R.N.' 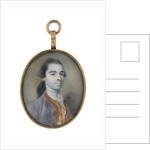 The sitter is half-turned to his left, in the 1748-1767 lieutenant's full dress. He has dark hair tied with a black queue ribbon behind. The braid of the uniform appears to be in body colour, (gouache), and the pigments of what must have been a finely coloured example have been rather faded by light exposure. 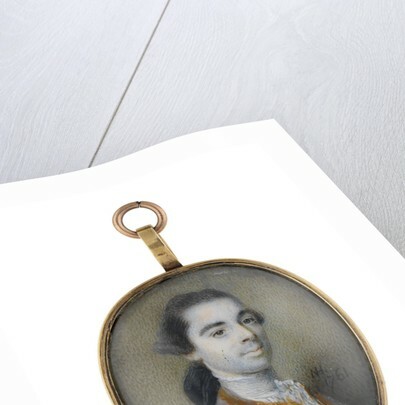 The previous record of this item gives Besson's dates as 1717-1784, but there is no other evidence for these and they may be confused with the dates of Hone, the artist (1718-1784). The only Royal Naval officer named Charles Besson was commissioned lieutenant on 27 October 1758 and, taking the sitter's appearance here into account, this might place his date of birth about 1735. The puzzle is that there is apparently no further record of service for him. The only subsequent information on such a man is that he makes his last appearance in the 'Navy List' for March 1822 as one of the eight Lieutenants of Greenwich Hospital. He had been replaced when the June issue appeared, probably because no longer able to perform the light duties of the post from illness and/or sheer old age, since he did not die until 22 September. It seems inconceivable that an officer with no recorded sea service, and who does not look disabled in this image, should spend perhaps over sixty years at Greenwich. He was there when Steel's 'Navy List', (forerunner of the official one), first began to list the Hospital captains and lieutenants in 1794, and was senior lieutenant from at least as early as 1804 when it appears to start listing them fairly reliably in seniority order, but further information on when and how he arrived is still needed. Hone was an Irish-born portrait painter and miniaturist, including in enamel, and also an engraver of his own work. 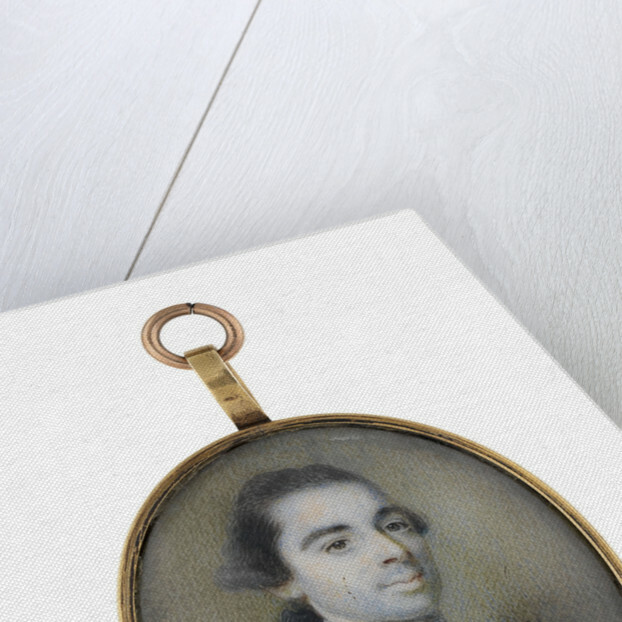 He had a successful practice in London and was one of the two Irish founder members of the Royal Academy in 1768. More by the artist Nathaniel Hone.